Easy-on, easy-off. Take only a moment to personalise your device with a range of IQOS 3 coloured caps. Use collectively with our other IQOS accessories to create more than 150 colour combinations, and define a look that is more unique to you. Customise your IQOS 3 with our range of 12 colourful caps options. 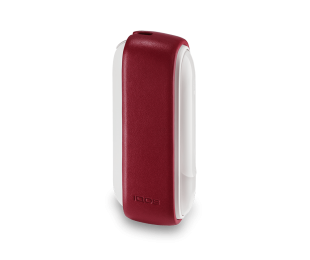 The IQOS Cap is available in a variety of colours and is the same size and weight as the one received with your original purchase, meaning you can simply remove and replace your IQOS 3 Cap with a more colourful option. Clean your cap with IQOS Cleaning Sticks to remove tobacco residue. A two day delivery service is provided to the following areas, excluding weekends. All orders placed on Friday, Saturday and Sunday will be delivered on Tuesday. Note: We currently do not offer a delivery service to the Channel Islands. You may return unopened items sold and fulfilled by IQOS.co.uk within 14 days of delivery for a full refund. All returns are inspected upon receipt, and appropriate refunds will be processed within 10 working days. Please complete the return section of the delivery note and include it in your parcel to ensure your exchange or refund can be processed. See our terms and conditions for further information on our returns policies or contact IQOS Care. Take your item to an official UK IQOS store with your order confirmation or invoice and the card used to make the purchase. Contact IQOS Care to arrange your return. Complete the return sections of your delivery note and include it in your parcel, attaching the pre-paid Royal Mail Returns postage label provided. Please obtain a receipt as proof of postage. Contact IQOS Care to arrange your return. Complete the returns section of the delivery note and include it in your parcel, attaching the pre-paid Collect+ Returns postage label provided. You can find your nearest drop point by visiting the Collect+ website.